Best hotel in Hamilton, rooms are gorgeous, clean and spacious. Convenient location to Hamilton airport, the city of Hamilton and a straight drive to Port Dover on Lake Erie. Location was good for what we travelled to Hamilton for. I would defiantly stay again when I'm back in Hamilton. Overall I would definitely stay at the Visitor's Inn again when I am in Hamilton. Extremely clean with modern updated rooms. Lots of little extras. Would return. Where to find Hamilton hotels near an airport? How can I find hotels in different Hamilton neighborhoods? Where can I find hotels in Hamilton that are near tourist attractions? There are many options to choose from for travelers searching for an affordable or upscale place to stay in Hamilton. For those wanting to stay within a 0.1-kilometre (0.1-mile) radius of the heart of Hamilton, Expedia's comprehensive database contains no less than 20 places to base yourself that meet that criteria. Like to book a room close to the beating heart of Hamilton? 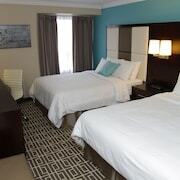 The Homewood Suites by Hilton Hamilton, Ontario, Canada and Staybridge Suites Hamilton Downtown are conveniently located within a short distance of the downtown area. Hamilton is a hotel-rich neighborhood that is 0.1 kilometres (0.1 miles) from the center of Hamilton, and offers 18 places to stay. 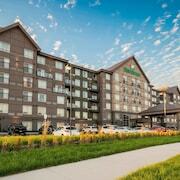 The Homewood Suites by Hilton Hamilton, Ontario, Canada and Courtyard by Marriott Hamilton are some Expedia-listed places to stay in Hamilton. 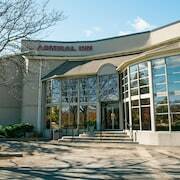 The Sheraton Hamilton Hotel and Admiral Inn Hamilton are nearest to the Art Gallery of Hamilton, while the Days Inn Hamilton and Residence & Conference Centre - Hamilton are within an easy stroll of the Mohawk College. Hotels near Cathedral Basilica of Christ the King include the Visitors Inn and Watercraft Inn. 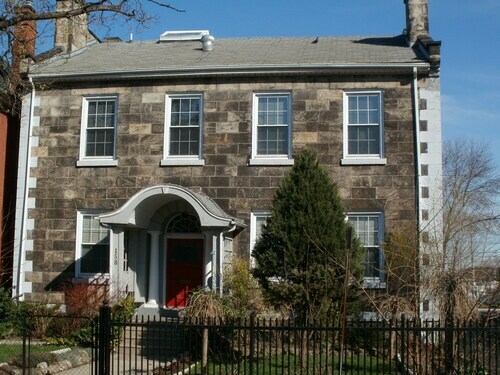 And, if your focus is on the Canadian Football Hall of Fame and Museum, your closest accommodation options include the Hamilton Guesthouse and Budget Inn 2000. 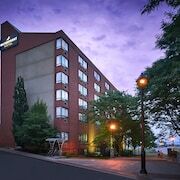 18 kilometres (11 miles) from downtown Hamilton, is the Homewood Suites by Hilton Burlington. 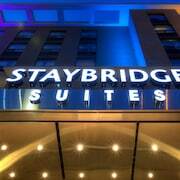 Alternatively, the Staybridge Suites Oakville is located 20 kilometres (12 miles) away. 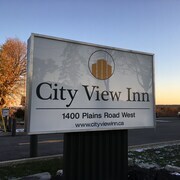 Two other Expedia-listed places to stay here include the Homewood Suites by Hilton Toronto/Oakville and the Waterfront Hotel Downtown Burlington. After you have explored Hamilton, why not tour a bit further afield? The Southern Ontario region has a number of scenic and cultural delights waiting to be explored. Check out Southern Ontario's traditional villages, churches and art museums. Visitors can also make the time to enjoy its beaches, coastal plains and forests. Popular pastimes in this part of Canada include skiing and cross-country skiing. 10 kilometres (6 miles) away from Hamilton is Burlington, home to the Royal Botanical Gardens and the Burlington Art Centre. 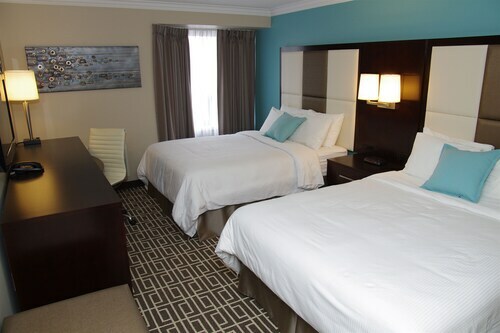 The Holiday Inn Burlington Hotel & Conference Centre and Quality Hotel are a few of the great hotel options in Burlington. 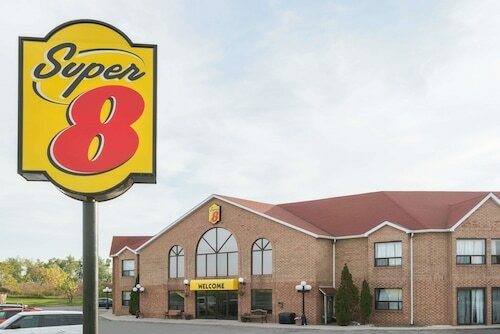 25 kilometres (16 miles) to the east of Hamilton is Grimsby, which is home to the Casablanca Winery Inn and Super 8 Grimsby Ontario. Peach King Centre and Gateway Niagara Information Centre are just a couple of the more popular points of interest to see when you're in Grimsby. John C. Munro Hamilton International Airport is 11 kilometres (7 miles) from the center of Hamilton. 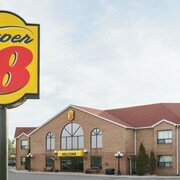 Super 8 Mt Hope Hamilton Intl Arpt ON is a convenient car ride away. What are the most popular Hamilton hotels? Are there hotels in other cities near Hamilton? What other types of accommodations are available in Hamilton? Explore Hamilton with Expedia.ca’s Travel Guides to find the best flights, cars, holiday packages and more!